Transaction value in the Crowdfunding segment amounts to US$1.7m in 2019. 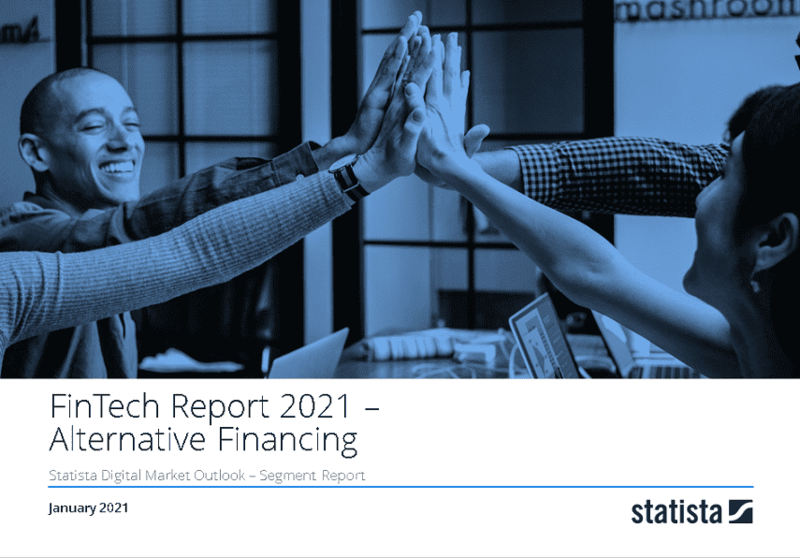 Transaction value is expected to show an annual growth rate (CAGR 2019-2023) of 0.6% resulting in the total amount of US$1.8m by 2023. The average funding per campaign in the Crowdfunding segment amounts to US$145 in 2019. From a global comparison perspective it is shown that the highest transaction value is reached in China (US$5,572m in 2019). Crowdfunding (also: reward-based Crowdfunding) is a financing form independent from financial institutions, location of the campaign creator or investor. Reward-based Crowdfunding campaigns can be initiated for a wide range of different purposes such as product launches, art-, music- and film-financing, software development, scientifc research etc. Usually there is a financing goal defined by funding volume and time to reach this goal for every campaign. The campaign creator publishes engaging content (e.g. photos, videos, text) that explain the goal and motivation of the fundraising. Almost everyone can participate in reward-based Crowdfunding campaigns as an investor. The only prerequisite is a valid payment account. Well-known platforms for these reward-based Crowdfunding campaigns are Kickstarter and Indiegogo. One of the most successful Crowdfunding campaigns was a product financing project for the so called Pebble Watch. Reading Support Total Transaction Value in the Crowdfunding segment amounts to US$1.7m in 2019. Reading Support The Crowdfunding segment is expected to show a transaction value growth of 1.5% in 2020. Reading Support In the Crowdfunding segment, the number of funding campaigns is expected to amount to 24.0 thousand by 2023. The box shows the number of successfully closed funding campaigns (within the last 12 months) in the selected market and the selected region. A definition and detailed explanation of the displayed markets can be found here. Reading Support The average funding per campaign in the Crowdfunding segment amounts to US$145 in 2019. The box shows the average annual funding volume per campaign of the selected market (market segment, region). The volume refers to the overall fundings in the respective segment proportionally to the number successfully processed campaigns in a one-year period. A definition and detailed explanation of the displayed markets can be found here. Reading Support With a total transaction value of US$5,572m in 2019, the highest value worldwide is reached in China. Here you can find more studies and statistics about "Crowdfunding".